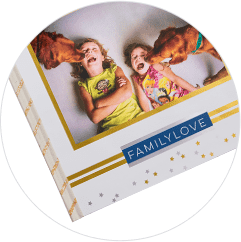 Make your photo book cover as unique as the photos it holds. Choose from our standard covers or select an upgraded cover to make it extra special. 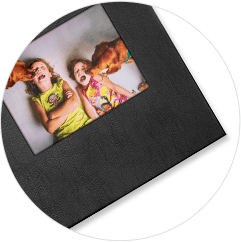 Feature your photos in a glossy laminate on the front and back cover of this durable hardcover book option. 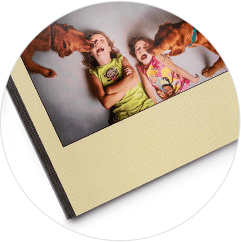 With a thick cardstock cover, your photos are showcased on the front and back in an easy-to-flip softcover book. Most Upgrades can be selected on the book tab when editing your project. a classy look on the front and back. favorite photo in a die-cut window on the front. 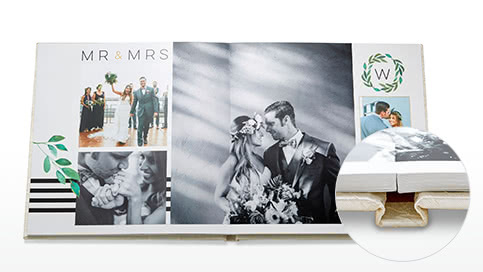 Great for wedding albums and other special occasions. Our high-quality padded leather cover features stitched edges and a gorgeous finish. Perfect for all of life's special occasions. 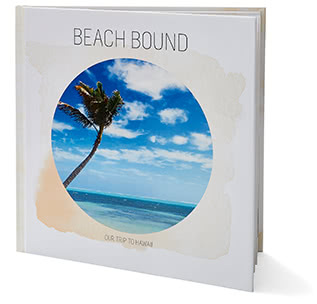 Bound and printed in the U.S. using the highest standards of quality for paper and printing. Double-thick, satin-finished pages lay flat for an unparalleled, seamless display. 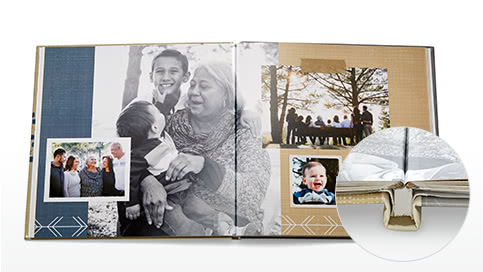 Perfect for wedding, baby, travel and special occasion photo books. 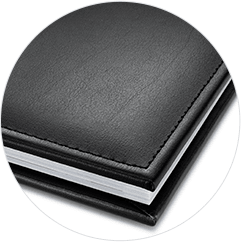 Standard matte-finish pages lay flat with a hinged binding. 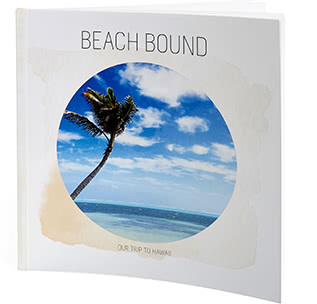 Great for family, travel and everyday occasion photo books. 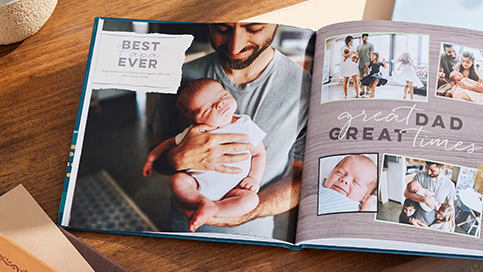 Smoother tones, subtle color blends and more ink coverage on every page so your photos print even better. 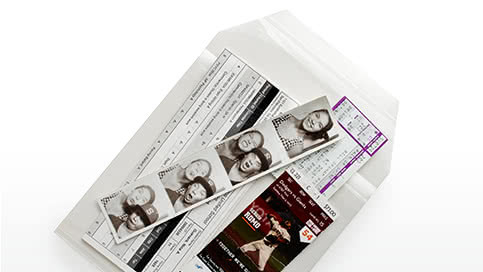 Add this pocket to the inside cover of your book to preserve special keepsakes. 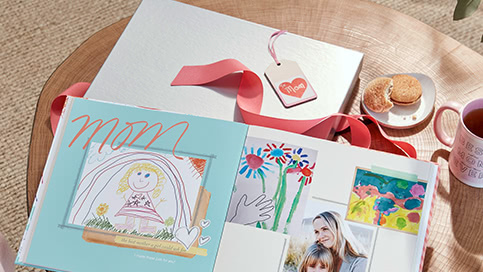 Choose a design and add a special gift box to your cart during checkout. 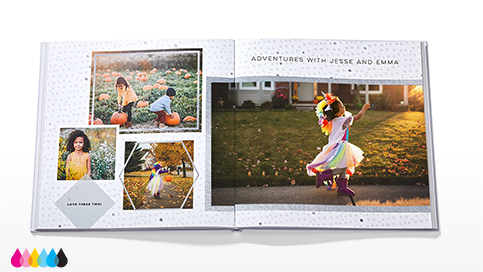 Select glossy pages to add a luxe sheen to your photos.